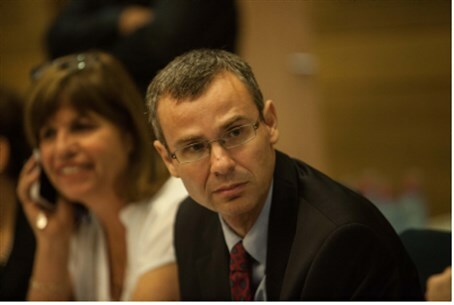 Coalition head MK Yariv Levin (Likud-Beytenu) expressed concern Sunday over the extent of United States pressure on Israel to reach an agreement with the Palestinian Authority. In particular, Levin expressed worry over U.S. Secretary of State John Kerry’s offers to the PA regarding arrangements in the Jordan Valley. “Of course I’m worried. First of all, because the question isn’t only security arrangements, but also our right to the Jordan Valley – a right we need to stand up for,” he told Arutz Sheva. Kerry made various offers to the PA regarding security in the Jordan Valley. PA officials say PA Chairman Mahmoud Abbas rejected the offers because they would not have prevented Israelis from living in the area. “But I’m optimistic, in the sense that we are definitely able to prevent this,” he added, referring to a withdrawal from the Jordan Valley. Kerry’s proposals worried other Members of Knesset as well. MK Ofir Akunis (Likud) warned that “security arrangements” is a euphemism for uprooting Israeli communities and removing IDF positions. MK Moti Yogev (Jewish Home) argued that American “security arrangements” did not have a good track record, having failed to prevent a bloody terrorist war in the wake of the failed Oslo Accords.